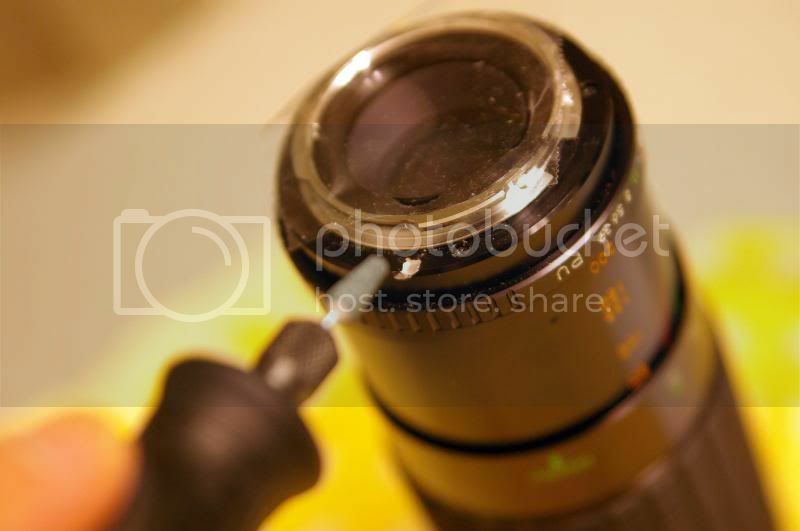 Here is my first attempt to drill a receiving hole on a M42 lens. Refinement is definitely needed but I have below a rough outline how I manage to convert an M42 lens to simulate a K mount lens. The benefit of doing the conversion save me the awkward step of mounting and dismounting the M42 adapter. The caveats fall into the need of getting an inexpensive altered adapter for each M42 lens along with the need to drill a receiving hole on the M42 lens. Also, this conversion assumes the lens base is big enough to hold the adapter and leaving enough room for a receiving hole to retain the locking pin from the K socket. I use a regular portable Dremel drill bit set bought from Walmart around $40 in Christmas. Here comes the part that can be replaced with a lens/teleconverter mounting plate for marking the drilling position. 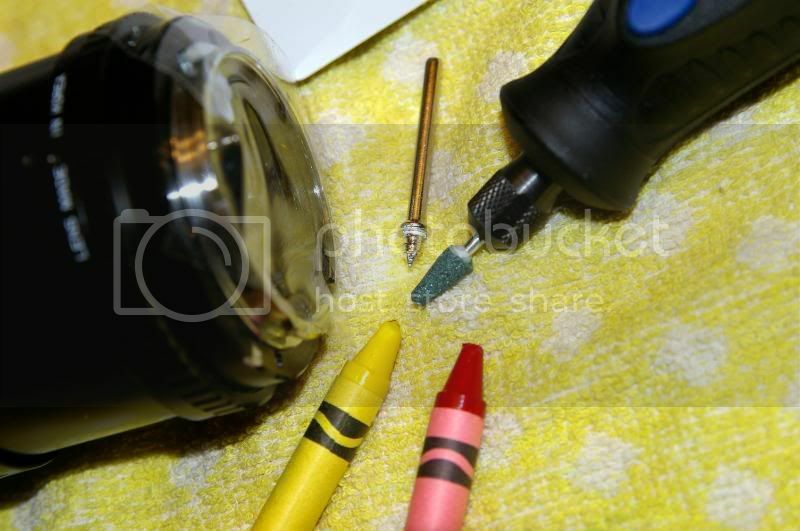 I use crayon pen to color locking pin to locate pin location for drilling. Lumbar crayon is preferred but my kids' crayon is right next to me and hence the shortcut for the fastest route. I push the locking pin inward and fill in with excess crayon on pin's tip. I then mount the M42 lens with the M42 adapter onto the K body with locking pin color coded with excess crayon. 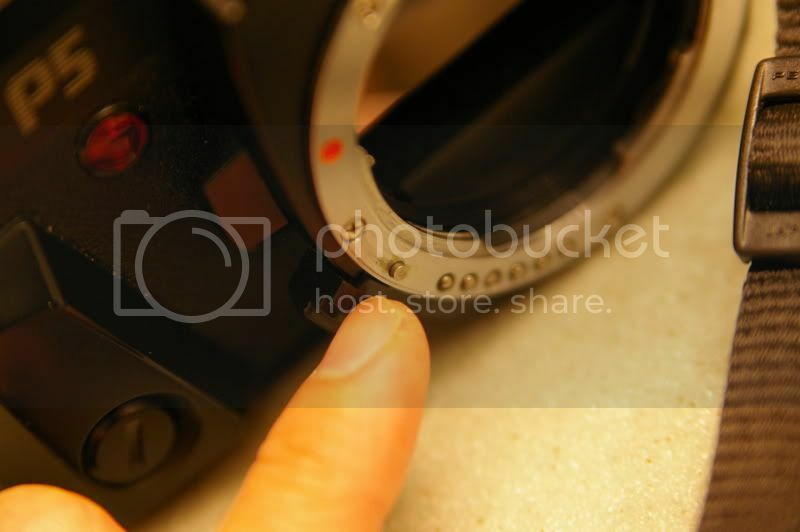 While mounting, I push the K mount locking release and released the pin only towards the last inch of mounting leaving a trace of crayon on the base plate of the M42 lens. Upon dismounting the M42 lens, I trace back the crayon to see the ending position of the crayon mark as the place for drilling. I performed few times of tracing to be sure as the crayon is easily removable and a sharp cutter can help to identity the marking. 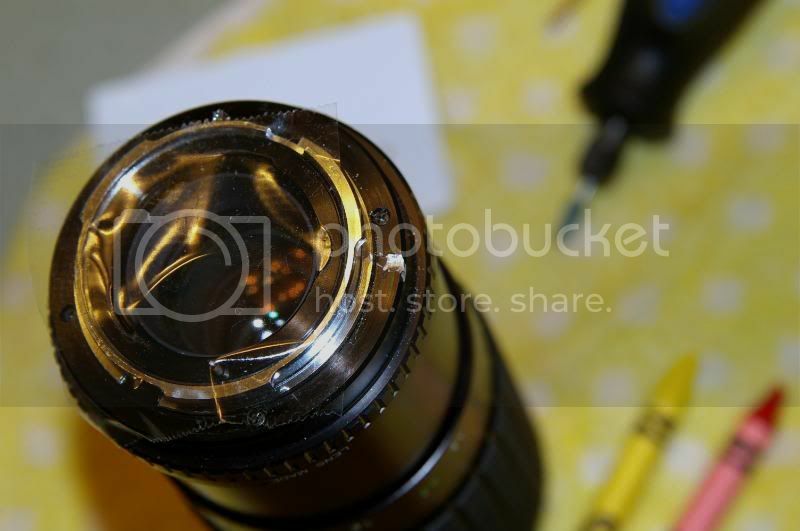 The receiving hole actually works but the mounting and dismounting is not as smooth as a regular K mount and the drilled hole does secure the pin in place preventing the lens to fall or dismount in abrupt turning. With refinement, it will work great. Use all precautions in your drilling. For small and lightweight lens, I won't consider this conversion as small lens is good enough to be mounted with an altered adapter directly onto to the K mount. 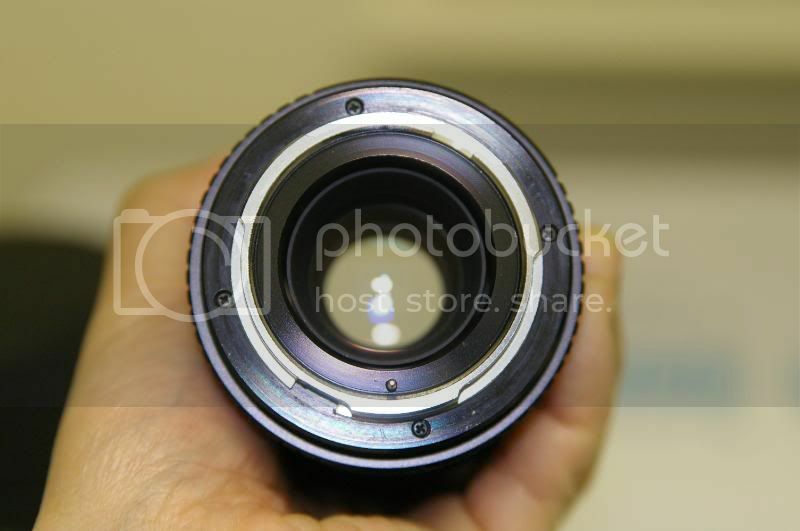 For some, the base is large enough and the locking pin from K body would give enough friction to hold the lens in place. Hi Hin. I found the best way to line up the hole for drilling was to rest your adapter onto the back of another pentax lens and line up the red markers and then you can see where the hole need to be by placing a ruler on the hole and marking your adapter and then after you screw it onto your lens mark a line outwards and then measure the distand from the edge to the centre of the hole, measure and mark across the other line and x marks the spot. Mark, thank you so much for your suggestion.